Has The NZ Economy Stalled? Since the last election there have been concerns with how the economy is going and today they highlighted that domestic growth slowed significantly in 2018, with softness in the housing market that has not recovered and also weak business investment. They said there is increased government spending and investment which will support economic growth over 2019 but questions on how sustainable this is if business and therefore the governments tax take slowing. Following this announcement the New Zealand dollar fell by about one us cent to US68.16c from just over US69c which might help exporters but is bad news for anyone that buys imported goods. This is not good news for New Zealand and this can affect us all. Many items that we buy each week could be affected including food, fuel, clothes and then there are the major items like appliances and vehicles. Of course if you have a home loan then it may be good news as the expectation is that home loan interest rates will remain low for longer and we may even see a further lowering of rates. The past few years have been great for borrowers with historically low interest rates. One of the questions has been how long are they expected to last, and until recently there was the expectation that interest rates would increase. Since the start of 2019 there have been questions raised about how the Government is handling the economy. There are some announcements that have already been made and then there are a range of policies being spoken about that are deemed to be bad for business and investment. To compound the problem the Government is spending huge amounts of money on non-productive items and at times it appears the spending is quite reckless and this has many people concerned. It appears that today the concerns are turning into reality. But on the back of the bad news there is also some good news. In a move likely to spark likely to spark a reaction from all the banks, Kiwibank has already said it will cut its five year fixed rate by 80 basis points to 4.29 per cent from Monday. We have seen a battle on the shorter 1-year and 2-year rates for some months now. But seeing the banks prepared to cut the longer terms interest rates is good news as it means that borrowers can structure their home loans to offer more certainty for longer. As mortgage brokers we can assist with structuring your mortgage which will help you pay off your mortgage faster too. Something that you should focus on while the interest rates are low like they currently are. Any time we see home loan interest rates being reduced it helps those people buying property with borrowed money and that of course includes first home buyers. As mortgage brokers we have seen first home buyers active in the property market since the start of the year with a slower than usual market and since the banks have had some easing on the ability to offer low deposit lending. Lower or more negotiable house prices have helped and we have seen both existing houses and new builds being discounted recently. The banks are able to provide more home loans since the start of the year and it’s not uncommon to get home loans with just 10% deposit. There are also now a range of non-bank lenders that have quite competitive interest rates and are able to provide finance when the banks may not be willing to. Maybe it’s now time to speak to a mortgage broker and see what the first steps are and how much you can borrow for your first home. 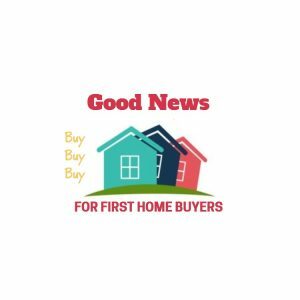 The post Good News For First Home Buyers As Economy Stalls appeared first on The Mortgage Supply Company.